Part of the nationally recognized Nicklaus Children's Brain Institute, The Neurogenetics / Metabolic Program is the only program in the state with dedicated multidisciplinary team providing comprehensive care for children with complex neurogenetic/metabolic disorders referred from throughout Florida as well as the Caribbean and South and Central America. The program provides screening, early intervention and quaternary treatments including critical care and clinical trials. The Neurogenetics / Metabolic Program evaluates and treats all the children and young adults with suspected neuro genetic and neurometabolic disorders, including inborn errors of metabolism, intractable epilepsies, intellectual disabilities, autism, abnormal newborn screen and progressive neurodegenerative conditions and storage disorders. 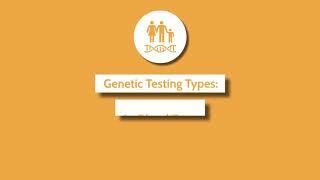 It focuses on diagnosis and treatment of these types of conditions. The program is staffed by board-certified physicians and licensed ARNP and nutritionists along with a dedicated clinic coordinator. The treatment depends on the etiology of the condition. The Metabolic team comprises of a neurogeneticist, neurologist, neuro-radiologist, neuro-ophthalmologist, and metabolic nutritionist. Through a team approach, the Neurometabolic Program provides comprehensive services that enhance the delivery of tertiary care for metabolic disorders in children and infants. Inpatient care includes extensive diagnostic capability backed up by treatment modalities tailored to the child's needs that are not available elsewhere in South Florida. During the clinics, held twice monthly, the patient and family meets with the team to ensure that the child's collective care needs are being met thus eliminating the need for multiple appointments with various specialists. The team is also working towards educating physicians and allied health professionals in the tri-county area to better recognize early signs of metabolic disorders in children, thus enabling them to access the expertise available through The Brain Institute. With early detection, children and families can be spared most of the severe complications and morbidity associated with metabolic disorders.